Putting the kids to bed is a rite of passage that not every parent survives in tact. Bedtime can be fraught with misadventure and procrastination. A five-minute goodnight kiss can draw out into a production of Oscar winning proportions. If you have kids under seven-years-old, chances are you’ve experienced a night or two like this. Perhaps a soothing tale of similarity will help salve those jangled nerves and settle your nearest and dearest. Here are two picture books that make me smile with thankful, ‘it’s not just us’ realisation. 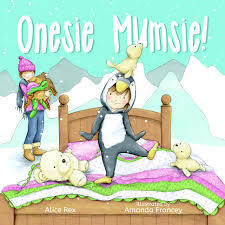 Onsie Mumsie by Alice Rex and Amanda Francey is a gorgeous little parade through a small girl’s imaginative bedtime routine suitable for pre-schoolers. It’s bedtime but whose exactly. 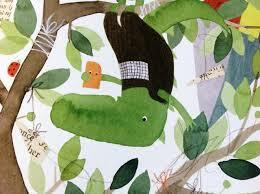 Our cute protagonist refuses to succumb to slumber until she invites all creatures great and small to bed first. Tigers, penguins, even crocodile onsies are dutifully donned then cast aside as it seems no one is quite ready for bed. Time ticks away until she is finally out-onsied and outwitted by Mumsie. Alice Rex’s bouncy text is undeniably read-aloud, share together material but it’s Amanda Francey’s adorable illustrations, full of soft pretty detail that really capture the heart. Perfect for sharing those intimate bedtime moments, Onsie Mumsie is the essential companion for those (little girls in particular) who have ever owned or worn an Onsie. It would make a lovely addition to those Mother’s Day gift packs too! 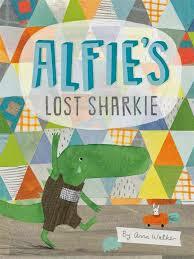 Another beautifully crafted Mother’s Day gift to think about is, Alfie’s Lost Sharkie by Anna Walker. We first met Alfie and his cat, Steve McQueen last year in Hurry Up Alfie. It’s easy to see what makes Alfie such a hit with early primary school readers. Even my nine-year-old relegates Alfie to the ‘must be kept and read repeatedly’ shelf. Alfie is the mirror image of your typical six to seven-year-old. He is creative, dog-minded, and nonplussed about the world outside of his own universe. No amount of coercion or cajoling will hurry him into action, or in this case, convince him to go to bed. Alfie’s excuse for delaying the inevitable this time; he cannot locate his favourite bedtime companion, Sharkie. He embarks on an exaggerated, pro-longed search for Sharkie as his mother attempts to guide him through the necessary pre-bedtime rituals. 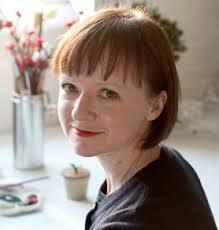 Walker’s dreamy multi-textured illustrations leave the reader with a keen sense of familiarity. Even the very young will instantly appreciate Alfie’s mischief filled world and his argument in spite of the fact that Alfie sports a rather long green snout and spikey tail. However, it’s Walker’s sparse, snappy and well-thought out dialogue between Alfie and his mum that enriches Alfie’s personality enough to entice youngsters to want to re-live the moments with him, again and again. 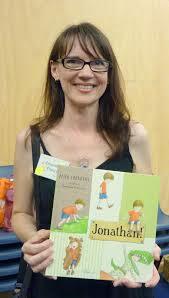 The ultimate sign of a winning, endearing picture book. I’ll be posting more reviews for fantastic Mother’s Day picture books that you’ll be glad to get your hands on in the weeks to come.